Join Bob Quinn and Liz Carlisle for a Grain by Grain book event hosted by Town Hall Seattle. Doors at 6:30PM. Tickets are $5. 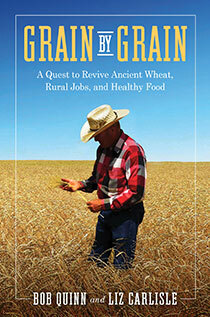 Join Bob Quinn and Liz Carlisle for a Grain by Grain book event hosted by Town Hall Seattle. Join Bob Quinn and Liz Carlisle for a Grain by Grain book at UC Santa Cruz. 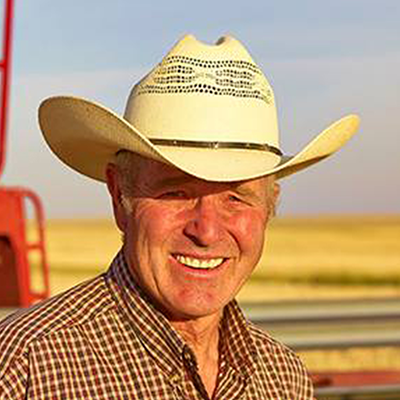 Join organic farmer Bob Quinn and Stanford Lecturer Liz Carlisle for highlights from their new book, Grain by Grain. Drawing on Bob’s 30-year journey in regenerative organic agriculture and renewable energy, they will discuss how transformation of regional food systems can drive big changes over time: creating good green jobs that rebuild rural communities, while providing healthier food and better environmental stewardship. Along the way, they’ll shed some light on the recent epidemic of gluten sensitivity, and offer some suggestions for how to restore a healthy relationship with wheat. Organic snacks will be served, including samples of kamut-based products. Books will be available for purchase.